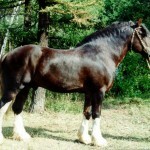 As the name suggests, the Russian Draft Horse is a breed of purely Russian equines that developed in the 19th century. Known for having an excellent traction while drawing weight, they are now bred in the North Caucasus, Ukraine, Sverdlovsk, Perm, Vologda, the Archangel regions, western Siberia, and in Udmurtia and Byelorussia in Kirov. Because of their high energy, adaptability as well as high-profit feeding, they eventually proved to be a great success as a working breed, exquisitely pliable in pulling drafts especially because of their characteristic short legs. Feeding/Diet Hay, grass, grains, vegetables, etc. 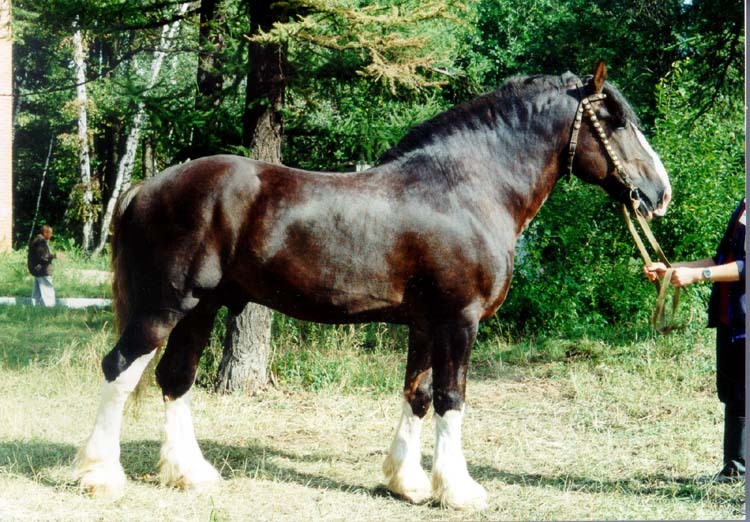 While the systematic breeding of the Russian Heavy Draft horses officially began in the mid 19th century, these equine found their origin crossed with the other equine breeds – the Ardennes, the Belgian Draft and the Orlov Trotter horses. 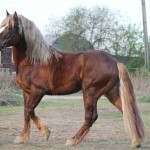 The information and record of this breed have been kept by the VNIIK (translated ‘All-Russian Institute of Horsebreeding’), wherein, Dr. Irina Sorokina had long been in charge of the local draft breeds of Russia. 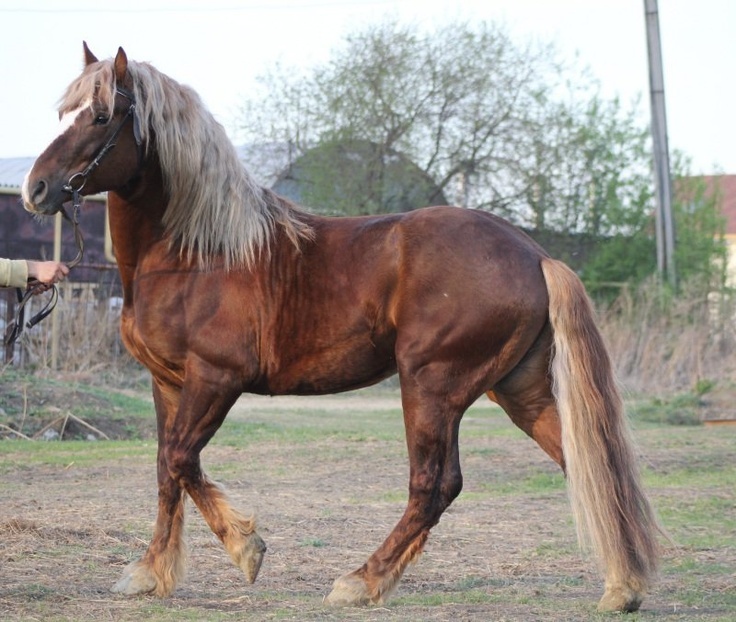 During the period of the formation of the breed, four breeding centers, namely the Chesma, the Dubrovsk, the Pershino, and Khrenov studs played an important role of particular importance. The breed had been used to improve agricultural stock. Even to the present day, many horses, carrying the genes of the RHD can still be seen pulling carts outside of major cities, especially in the countryside. Eventually, in the mid-1880s, they were introduced into the breed of the Russian Heavy Draft, whose influence is quite evident even in modern times while conforming the temperament and traits of the Russian Heavy Draft. In 1900, these horses were introduced for the first time to public, initially, at the Paris Exhibition, after which, they were almost wiped out after the commencement of the two World Wars. By 1937, the stock of these purebreds was reconstituted and isolated as an independent breed. 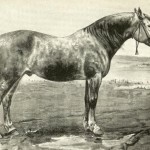 Later, in 1952, the horses were developed by crossing with the warmblood breeds including the Percheron, the Orlov Trotter, and the Ardennes from Belgium. 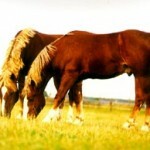 During this period, the Ardennes type of these crossbreds happened to gain much popularity in Russia. 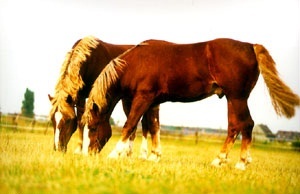 Even in such regions where there was a demand for big-sized heavy drafts, these horses were mated with the Brabancons breed. The resultant crosses retained the old denomination of Ardennes. Additionally, the milk of the mares of this breed was thought to increase immunity to disease, improve digestion, and stimulate the appetite, was recommended for such varied conditions as gastritis, anemia, tuberculosis, and impotence. This striking information is also found in the work of the literary masterpieces of the nineteenth century, including Mikhail Lermontov, Alexander Pushkin, and Leo Tolstoy. Massive type – The largest of the type, and are coarser in their confirmation. Ural type – Smaller than the above with a shorter body, long legs, and more feathering. Novoaleksandrov type – Relatively, smallest of all the three types. This breed is also known for its good capacity at producing milk (known as ‘kumys’ in Russian), which is fermented and drunk. This has long been a tradition to use the milk as a medicinal tonic in the steppes of Central Asia and in southern regions of undivided Russia. 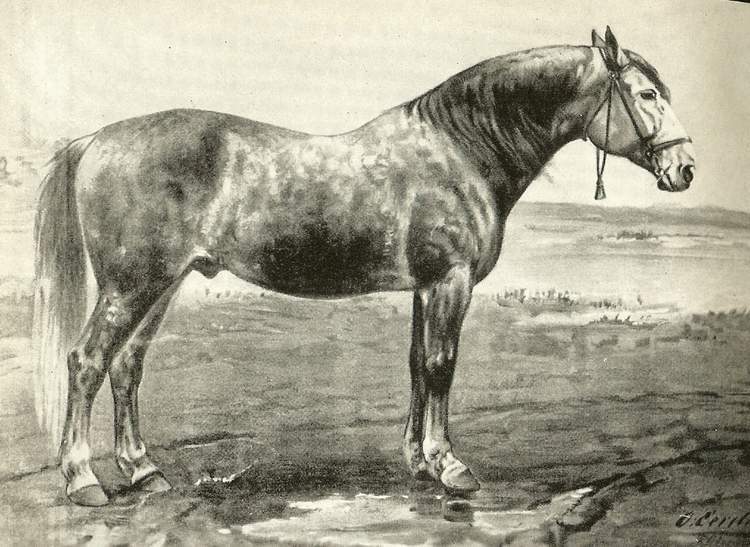 The Russian Heavy Drafts are able to pull relatively more weight at ease than their total body mass, which is more than any of other horse breeds that evolved during the Soviet period. While living in his farm in Samara, celebrated author Leo Tolstoy regularly drank the lactic beverage produced from these horses during the summers. The fermented milk was.